The first issue of #Diversity30 – a portrait collection of makers was published this week. I’m so grateful to have been included in the launch of this project by Ness Labs. For those that follow me on Instagram, you would already know how much this project means to me… I jumped on the opportunity thinking about my younger self. Being who my younger self, needed. Growing up, I struggled a lot with self-acceptance and my confidence because of many different reasons, but the main one being the lack of a role model in industries I hoped to work in one day. I couldn’t relate to anyone. I couldn’t fit in. I felt like my place was in the background – when did you see an Asian woman at the forefront of anything? My feelings of being an outcast because of how different I was stretched all the way I looked to the things I was interested in. – my feature can be read here. Projects like these remind me that my diverse background is an incredible thing, in fact, it’s a superpower. My different experience gives another view on something – that is why companies that embrace diversity and take inclusion seriously are those that will get ahead of the game. STEM industry… we have a hell of a lot of work to do. Let these 30 faces you see on the list further prove that to you! As I read through the profiles, I began wishing that I had seen something like this in magazines I was reading and in the media, I was consuming growing up… I know that it would’ve made a huge impact on the belief and confidence in myself seeing the diversity of faces in success. The saying, “You can’t be who you can’t see” keeps coming back as a common theme in the last 2 years, but it couldn’t be truer. I’m so thankful that I’m surrounded by such a wonderful community now, that continuously remind me of my worth and potential and have given me a voice to show off the rocking things I have created and continue to build on! I hope that underrepresented groups see things like these more often, especially younger people – like little Paw – to remind you all that there are people just like you and me who can truly do anything. Although journeys are vastly different, you don’t have to be a middle-aged white man to have a successful career or start-up. Being a part of this project has been truly incredible. Anne-Laure has written out her aims of this initiative as well as why she built the platform in the first place – make sure you check it out. And don’t forget to have a look at the list! She is also on the lookout for another group of makers or creators for issue 2.0; if you know anyone, get in touch! 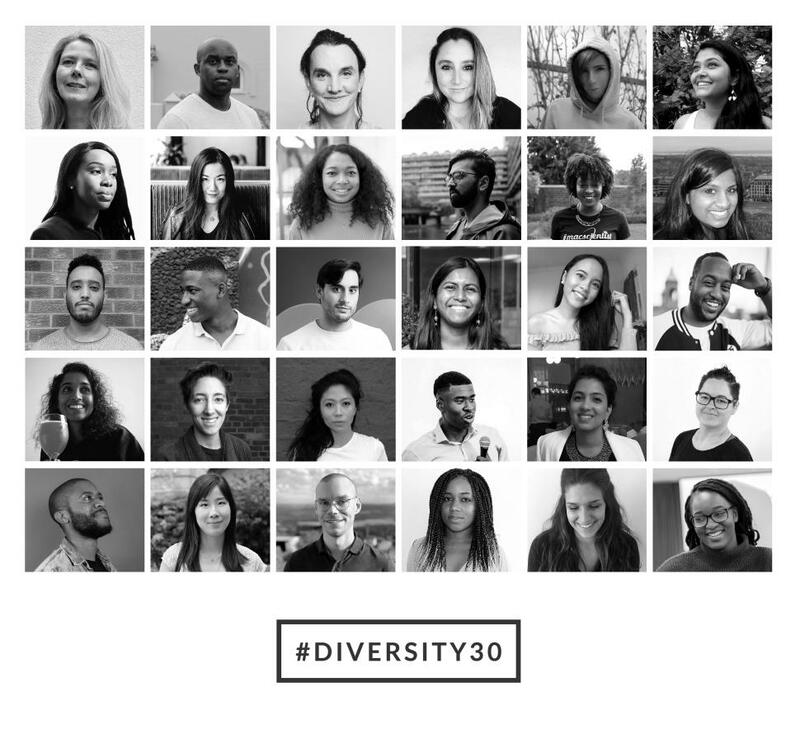 It’s great that you’re featured in the Diversity 30 project! Diversity is very important because it inspires everyone to pursue whatever they want without worrying about their background being a roadblock. You’re doing a great job with surrounding yourself with people who inspire you. Keep it up! What a awesome project! Congrats on being a part of it! Congrats on being part of such a great movement! Congrats on becoming part of an important movement. It’s an early start to make something big, especially that you just came out from university just recently. Not very many young people have this opportunity, so what blessings! I’m so glad, thanks both! Thanks Deanna, it’s been a long time coming!